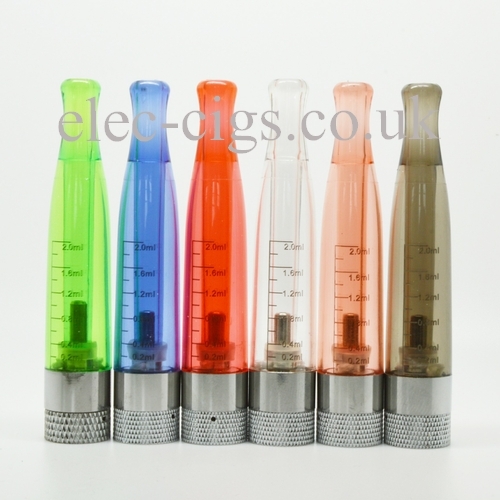 The H2 Atomizer is a sleek looking atomizer with a 2.0 ml capacity. It has no separate mouthpiece and looks great as well as performing beyond expectations. 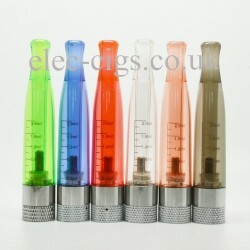 The H2 Atomizer is available in Clear, Green, Blue, Red and Black. Some of our customers use several of these with different flavoured eliquid in each so as to not mix the taste up if the fancy a change of eliquid, and at these prices; why not? The H2 Atomizer does not have a removable mouthpiece; to fill it you unscrew the base of the atomizer and fill it from the bottom; always making sure you do not fill the centre tube.